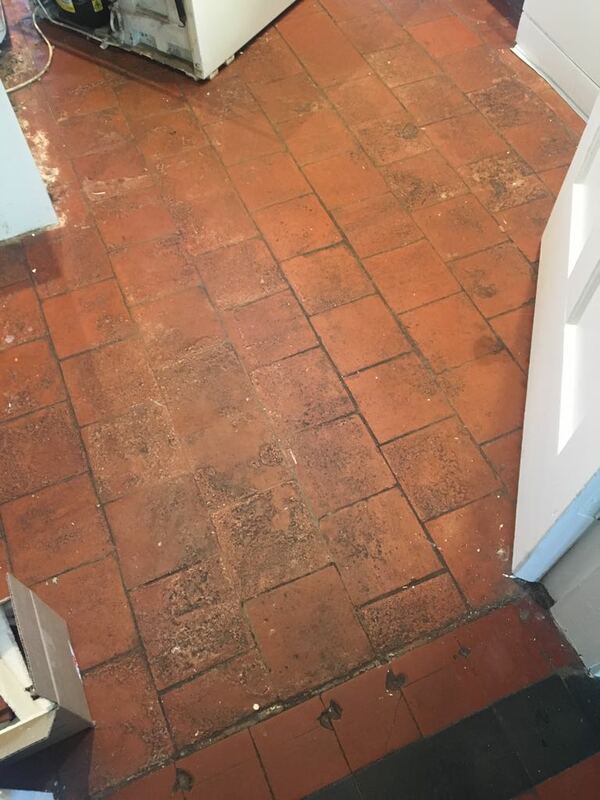 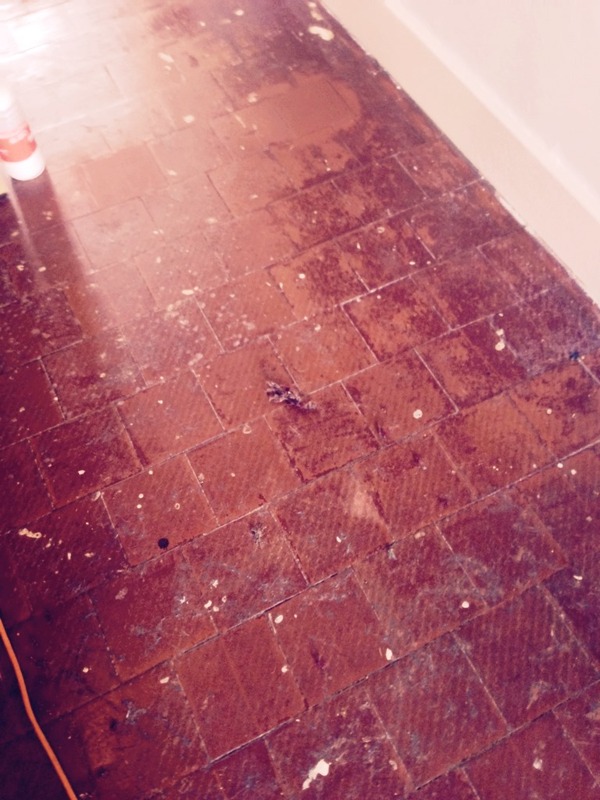 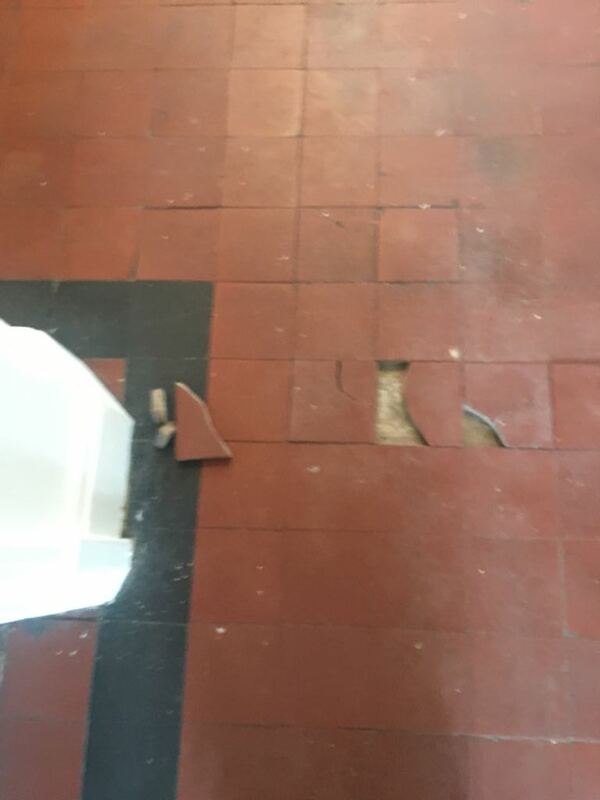 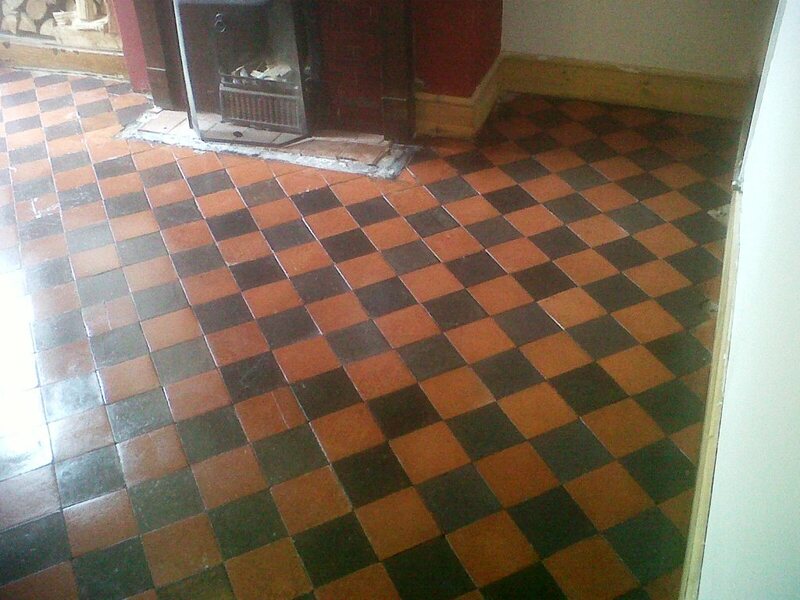 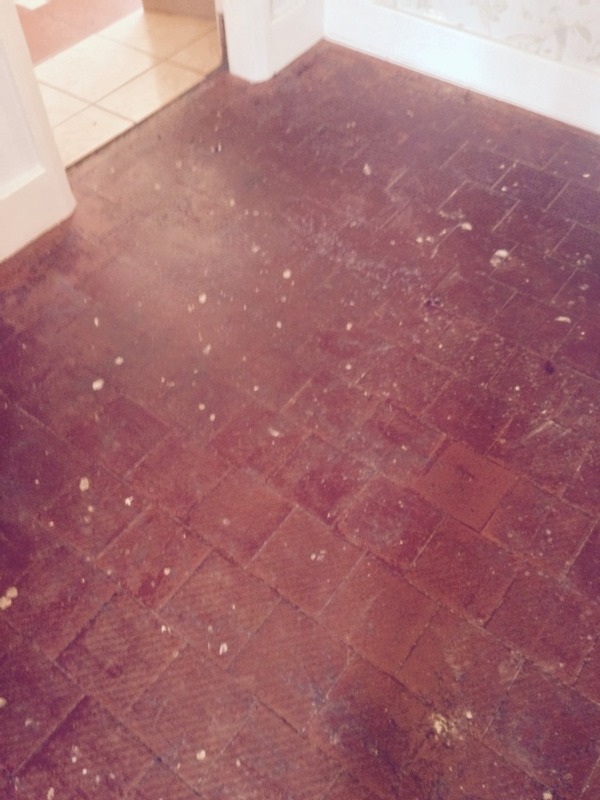 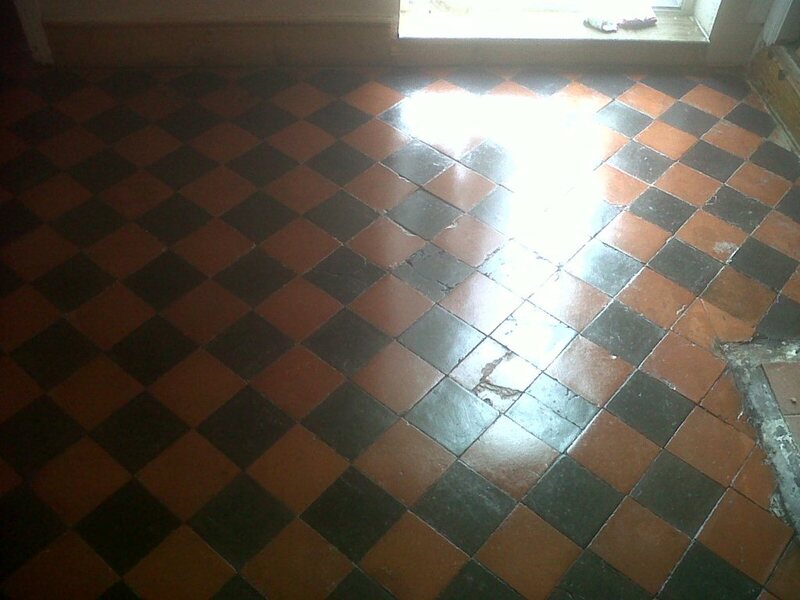 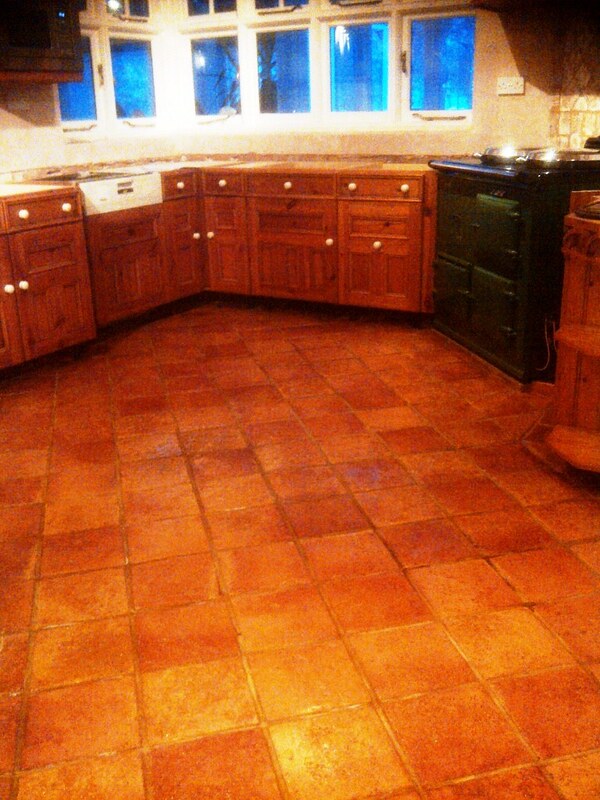 This Quarry tiled floor is installed in a house that was built circa 1920, well before the invention of damp proof course. 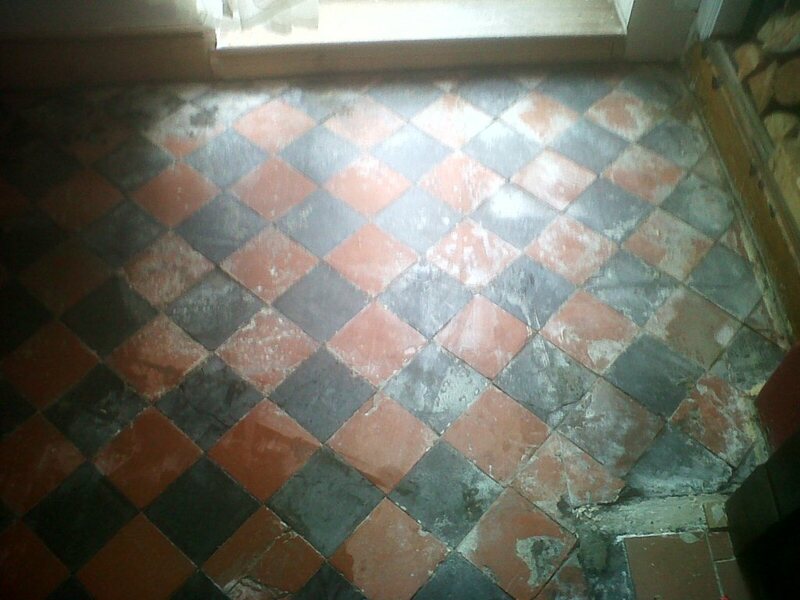 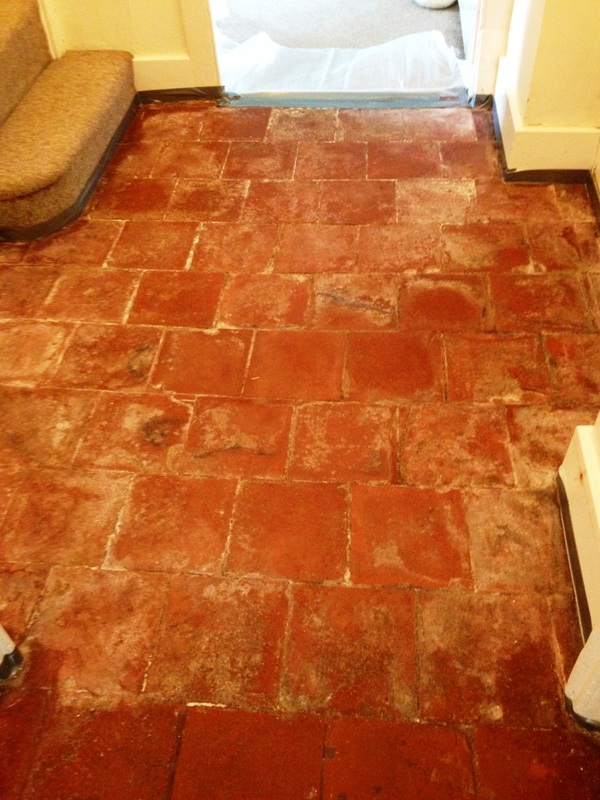 Although there was no evidence of damp there was quite a bit of old plaster, trapped dirt and paint splashes on the quarry tiles, the video below gives you a good idea of the state it was in. 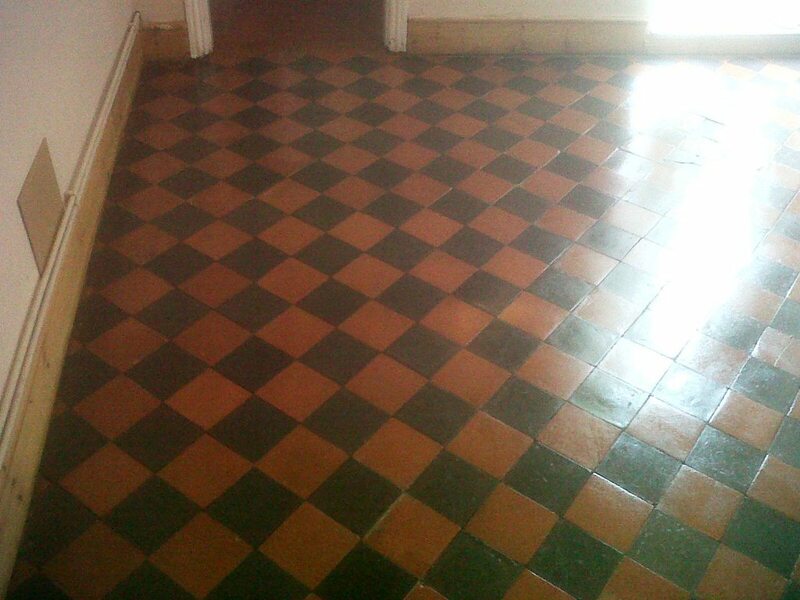 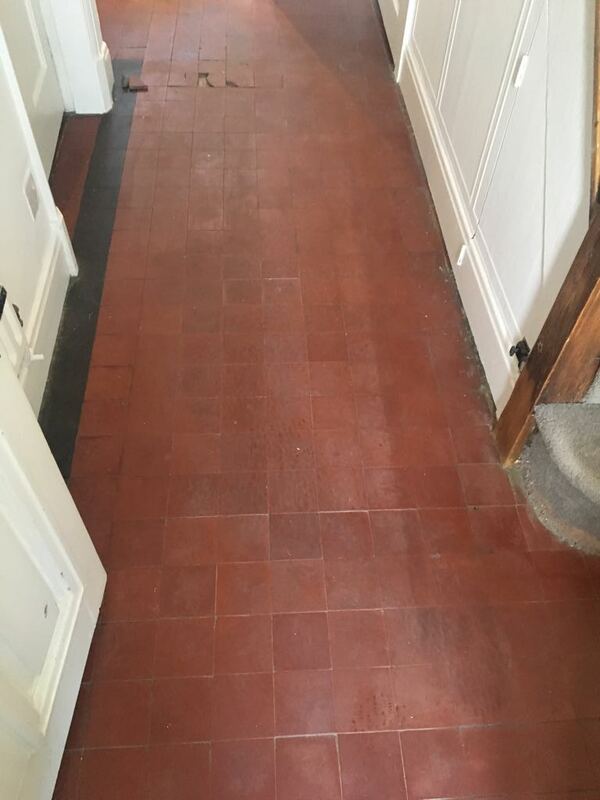 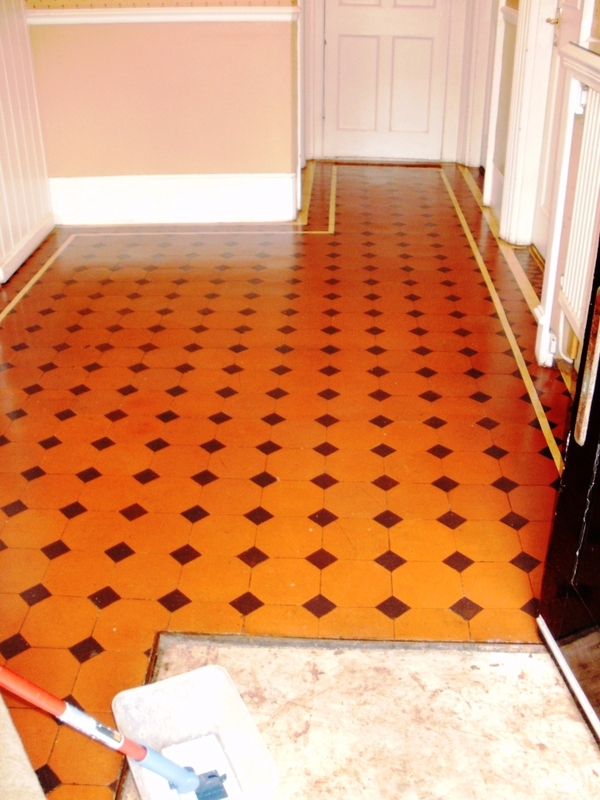 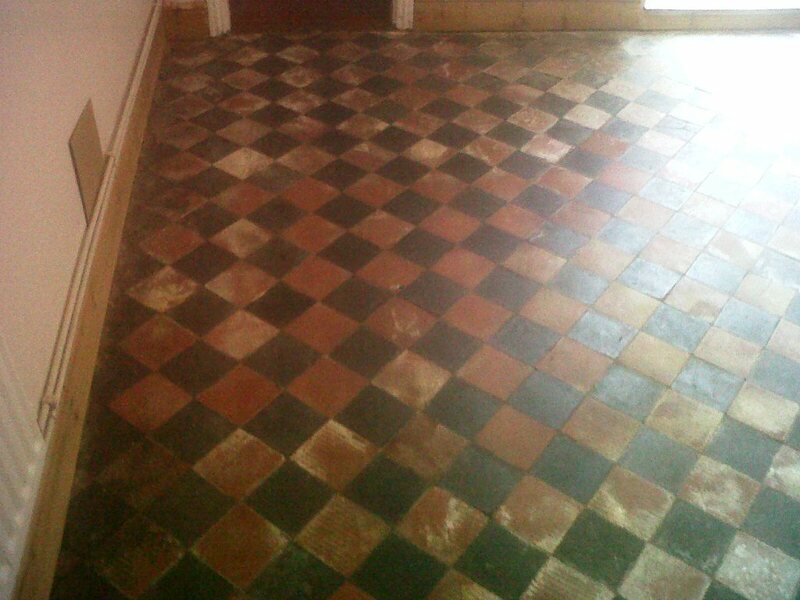 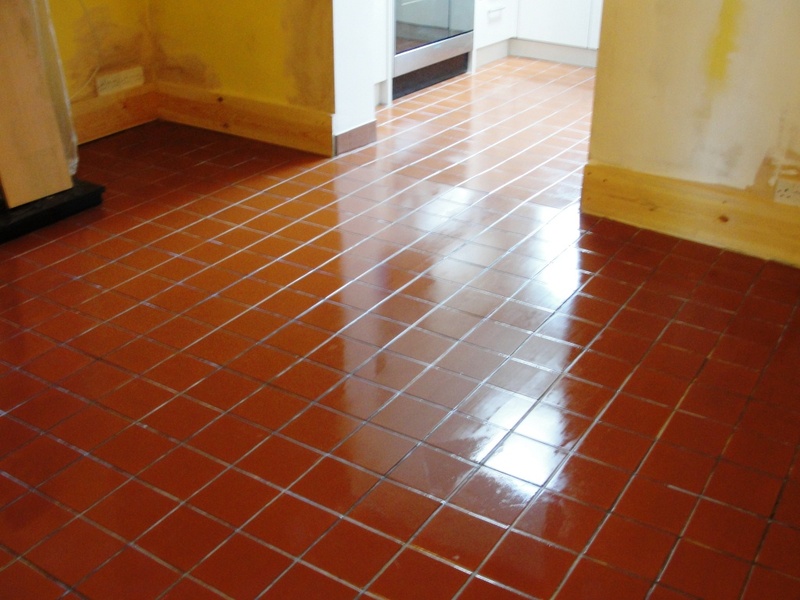 This Quarry tiled hallway installed in a house in South West London had been varnished many years previously and was worn through leaving a dark and uneven appearance and difficult to clean. 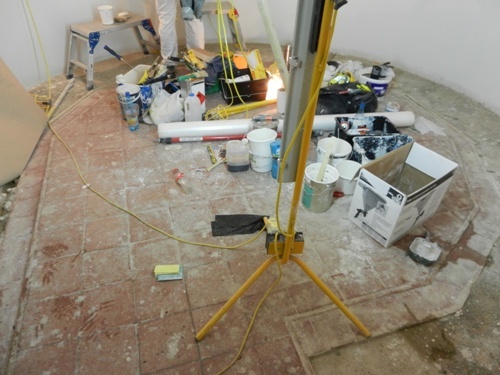 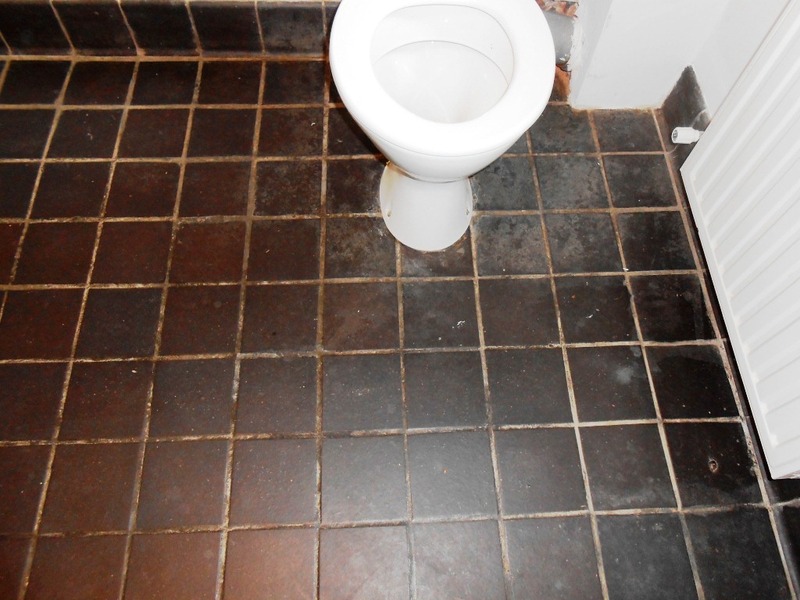 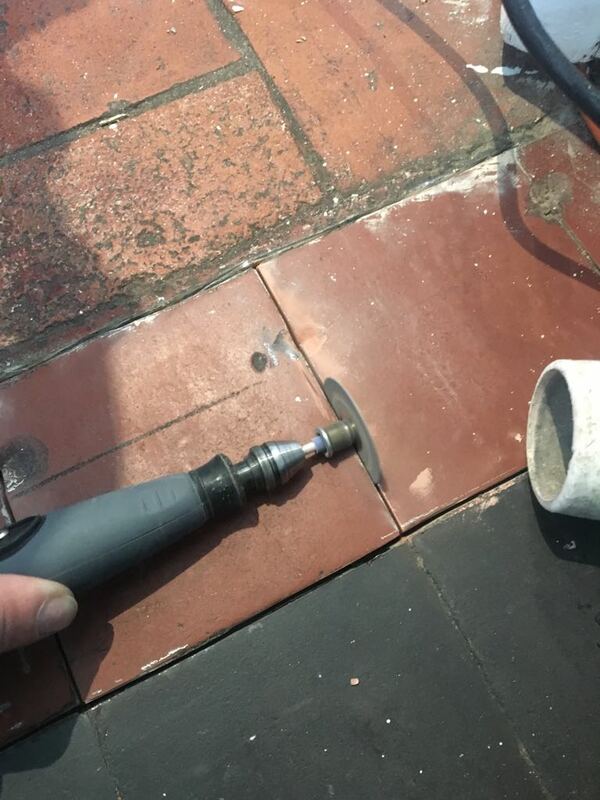 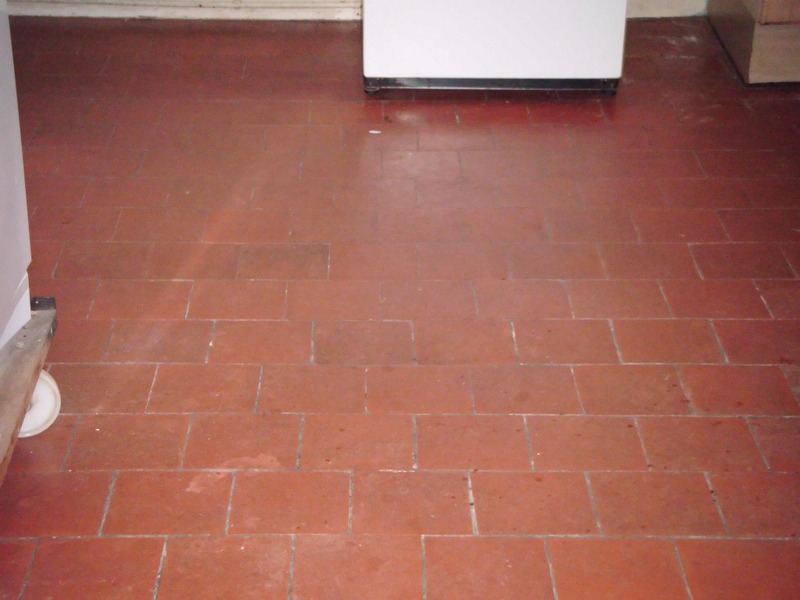 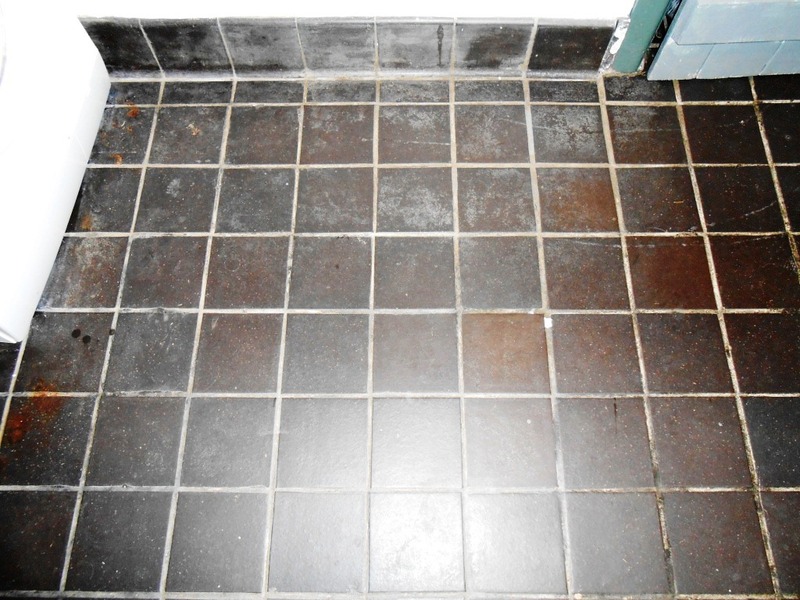 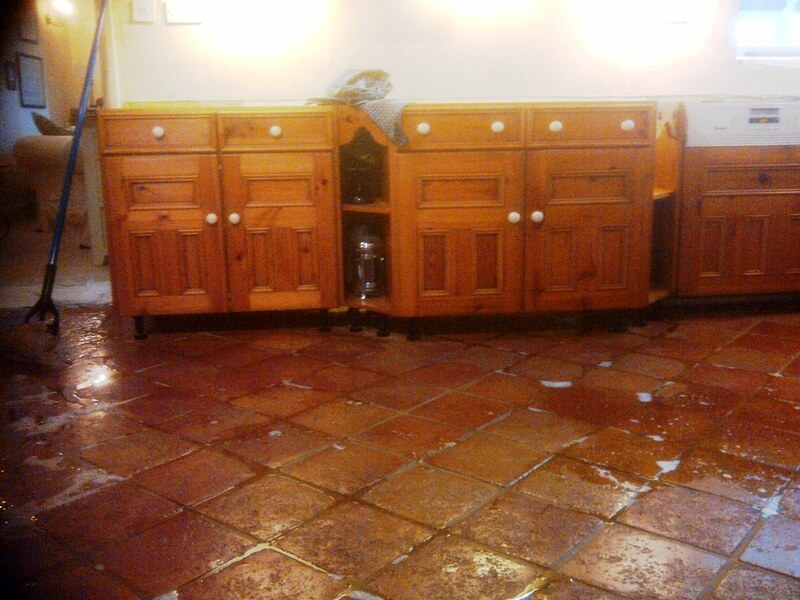 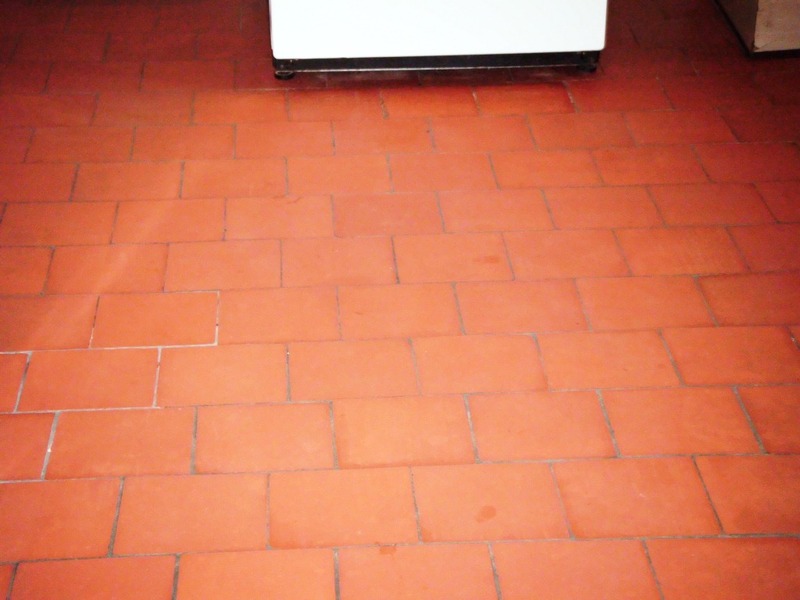 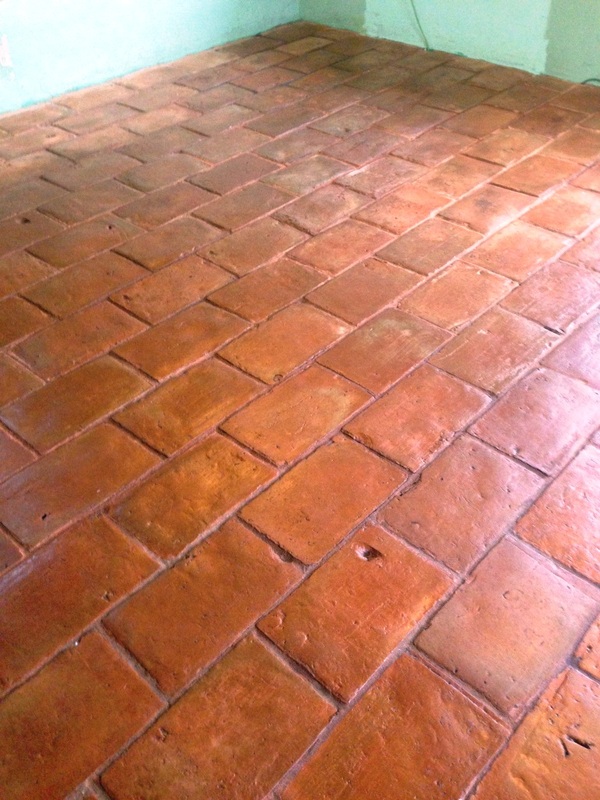 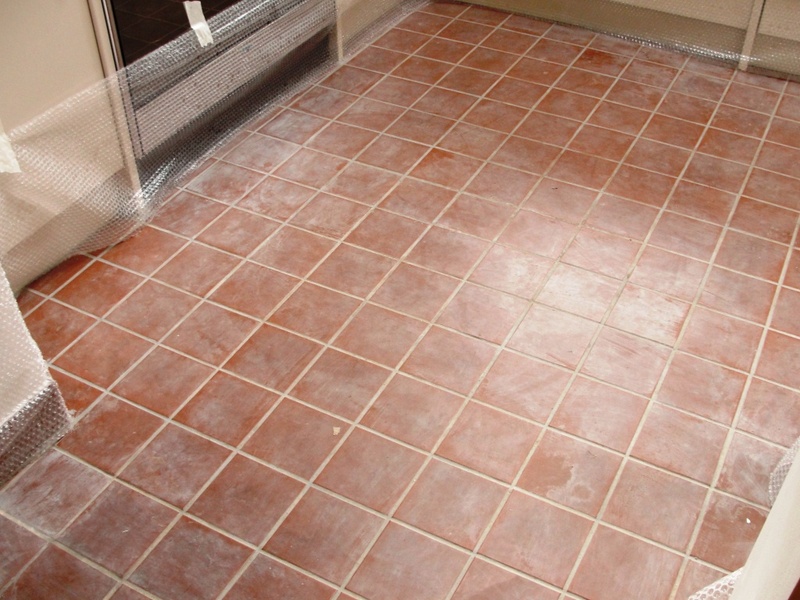 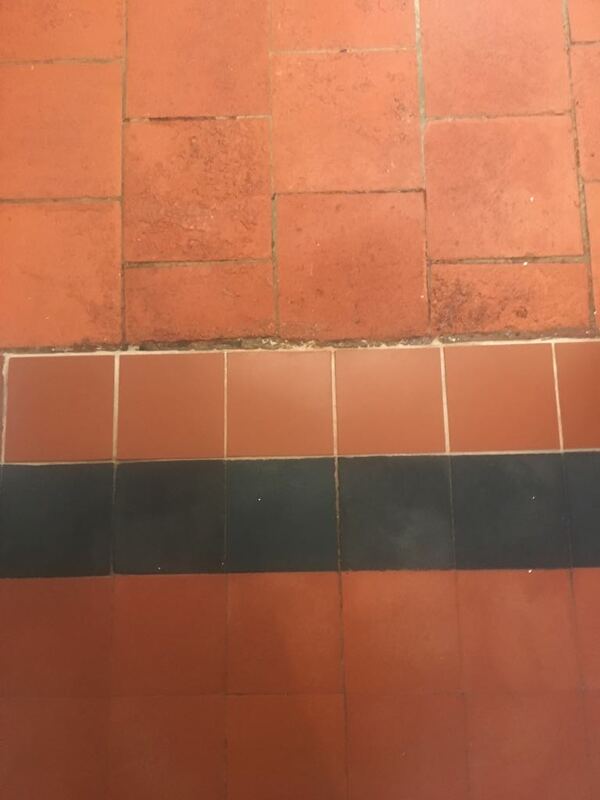 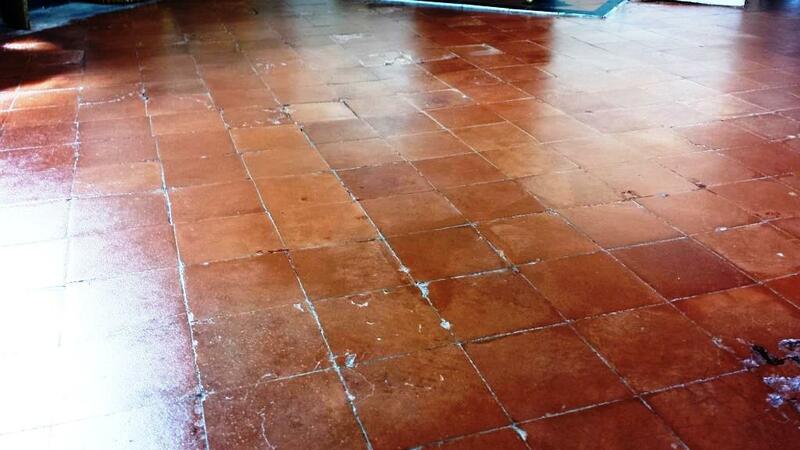 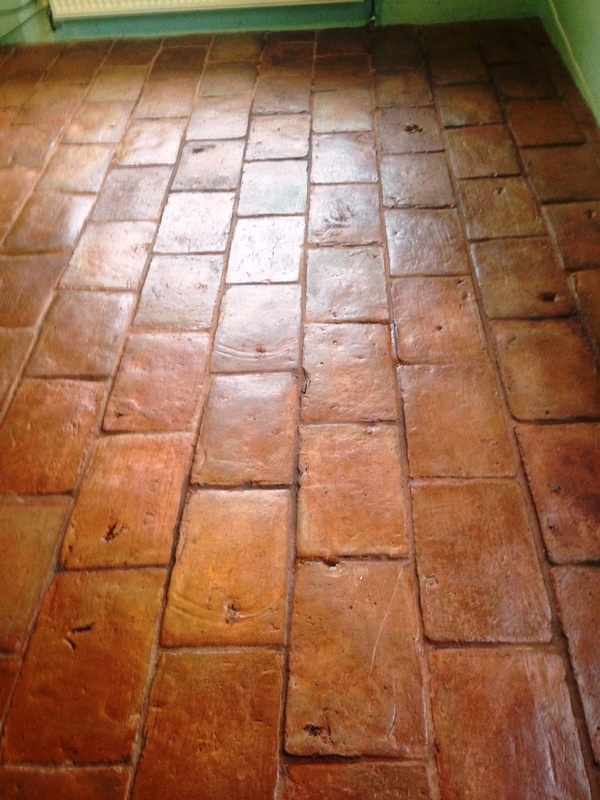 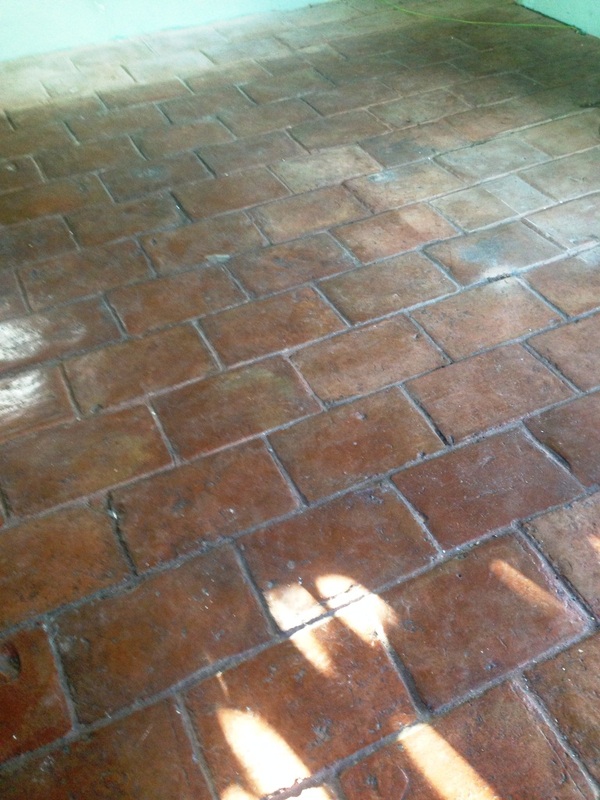 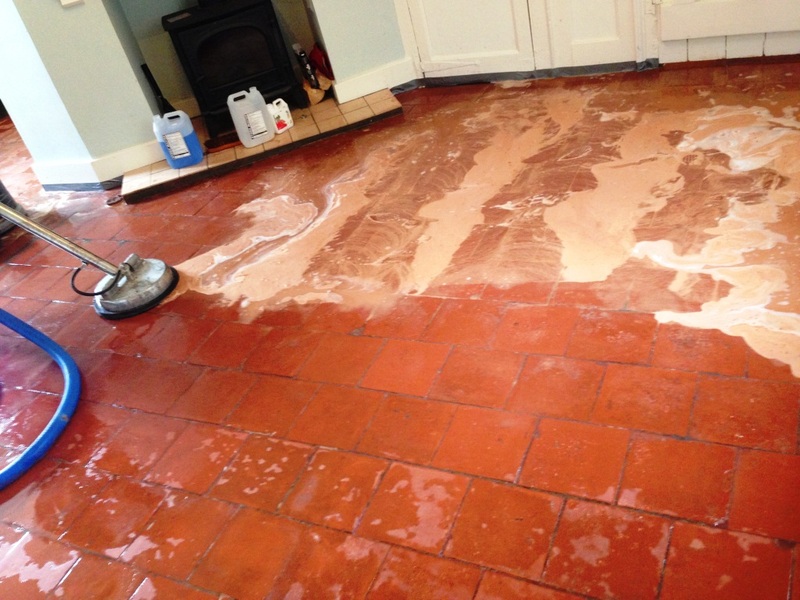 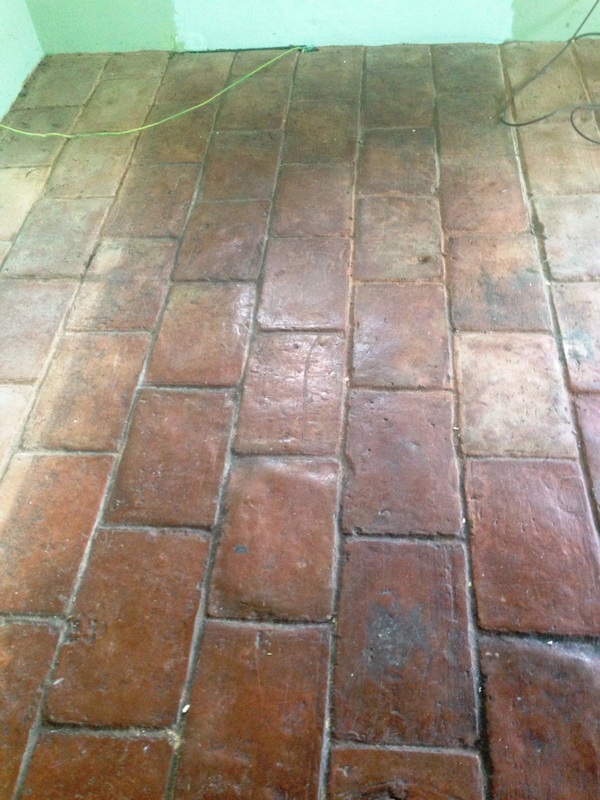 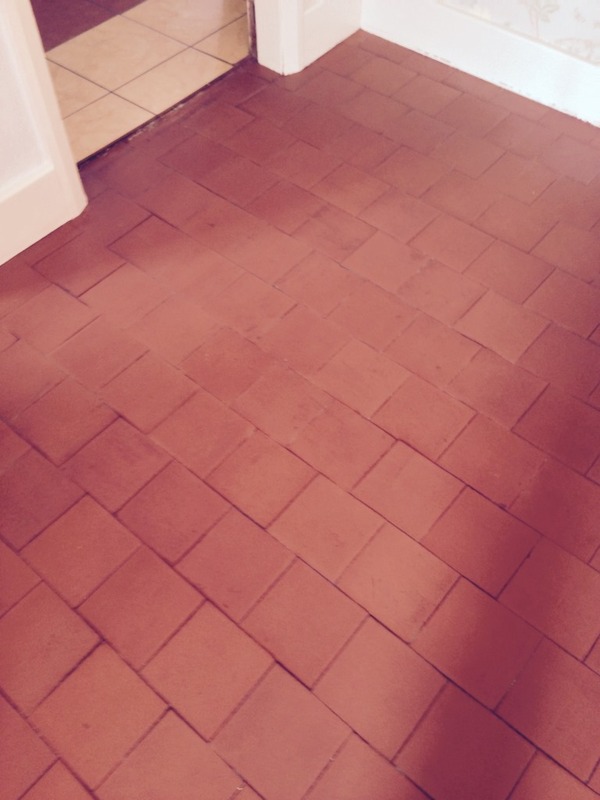 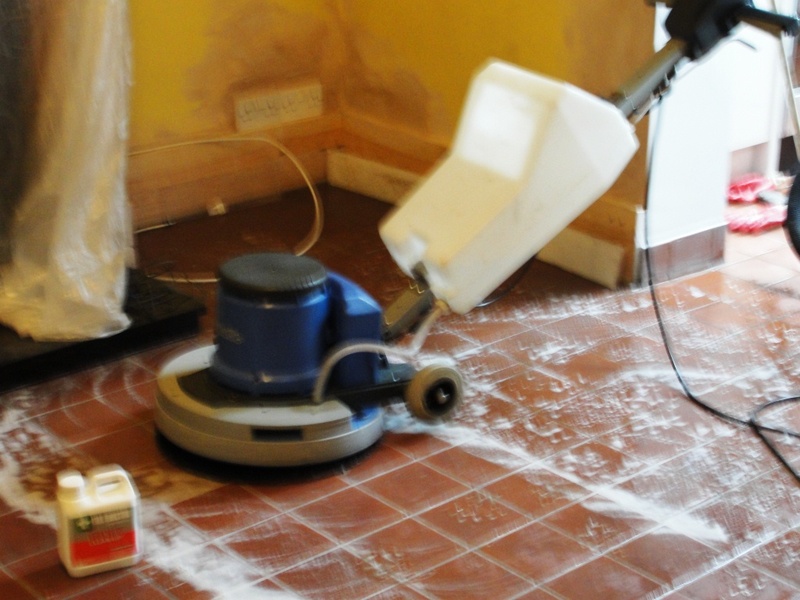 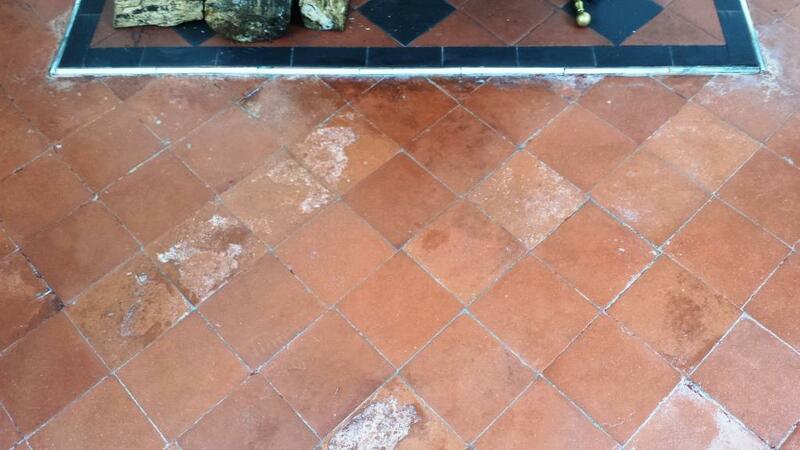 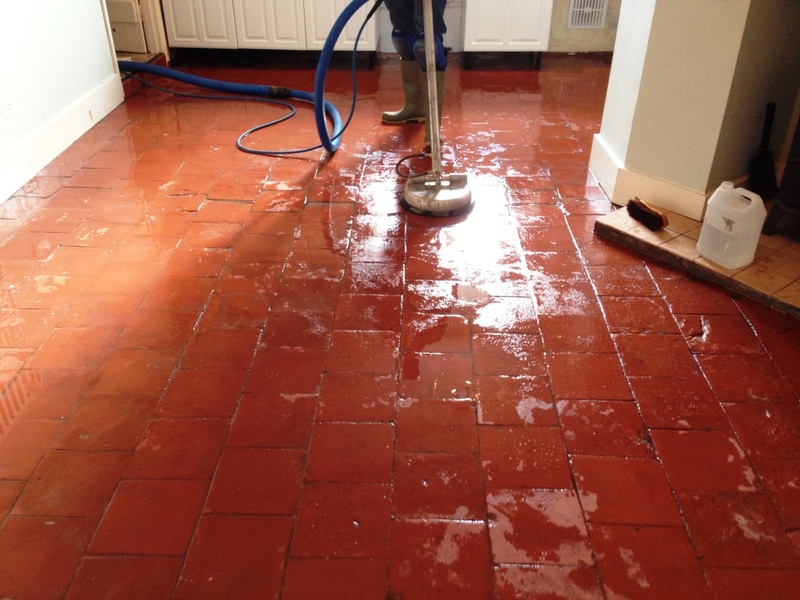 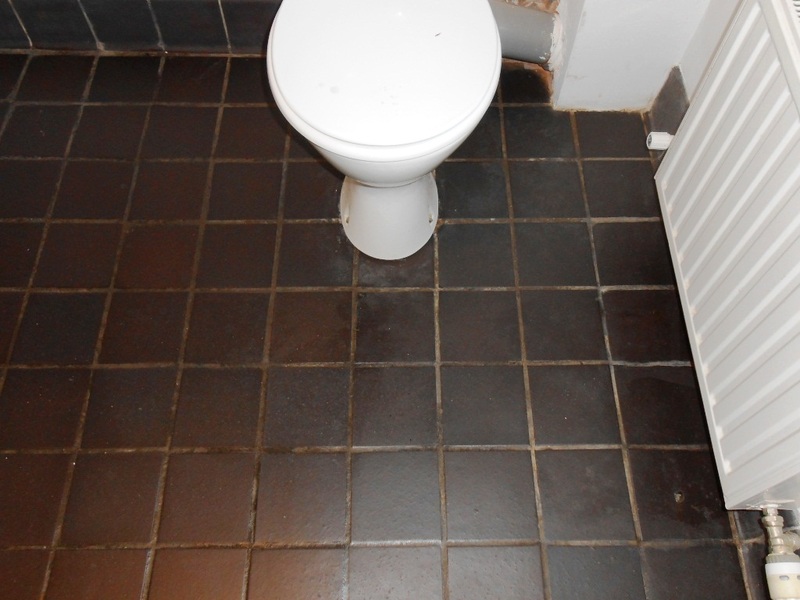 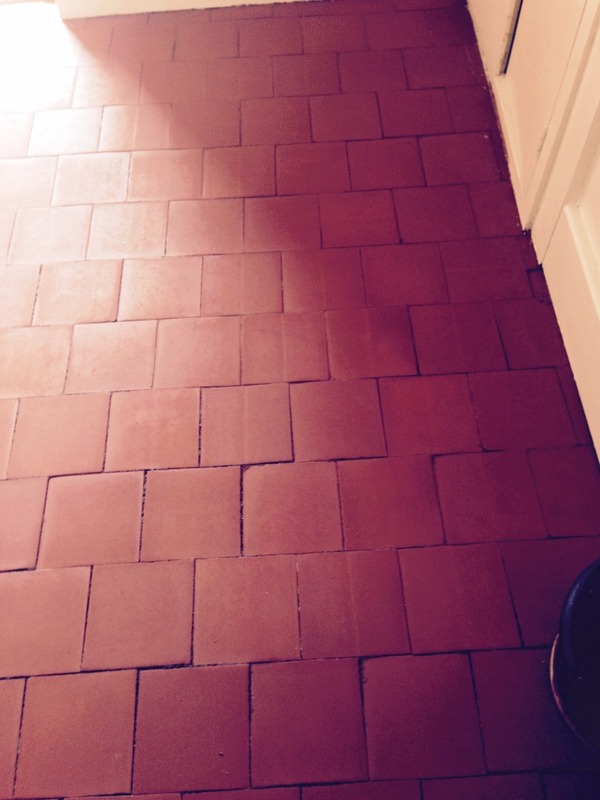 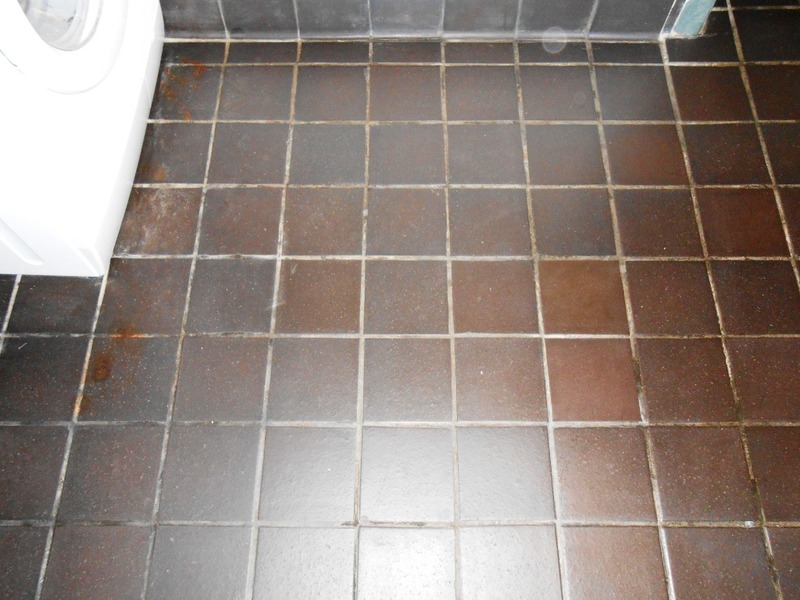 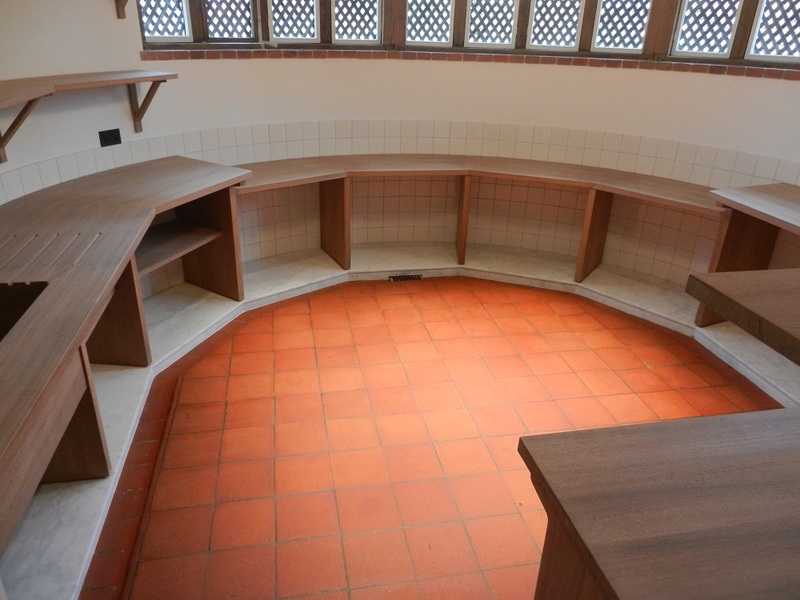 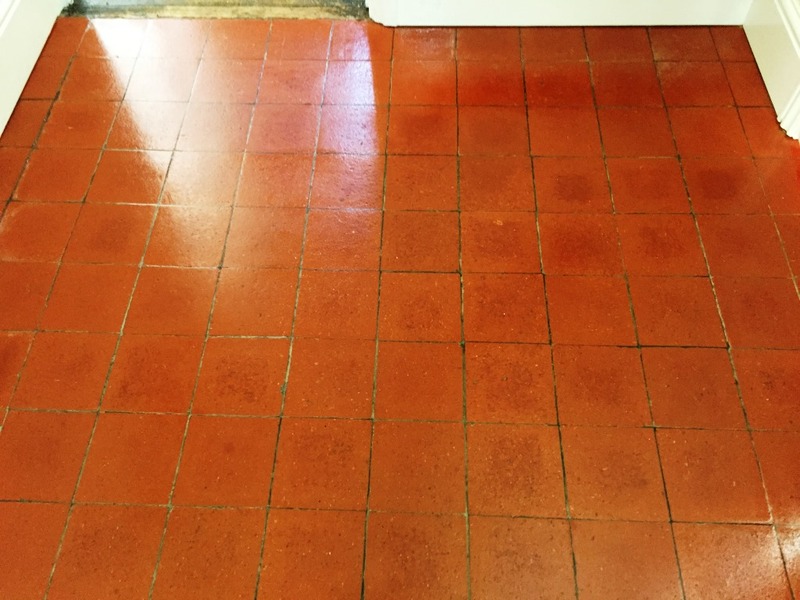 We started cleaning the Quarry Tiles by applying a strong solution of Tile Doctor Pro-Clean worked into the floor using a buffing machine fitted with a black scrubbing pad. 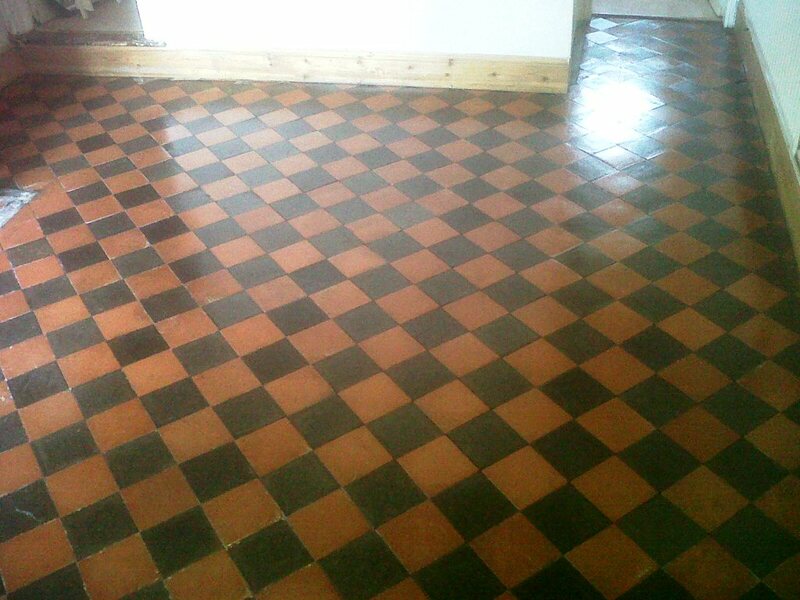 Although this had an effect on the Varnish it was proving difficult to shift so using a scraper tool it was manually scraped off the floor. 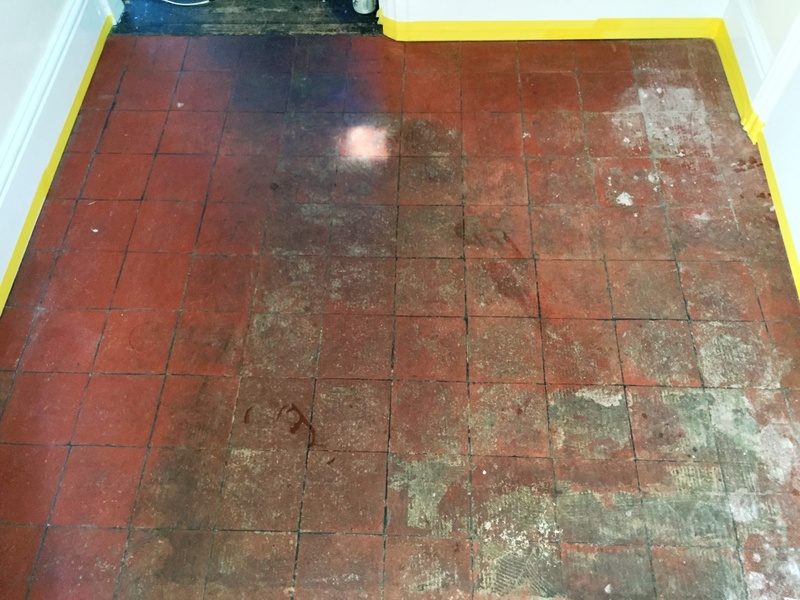 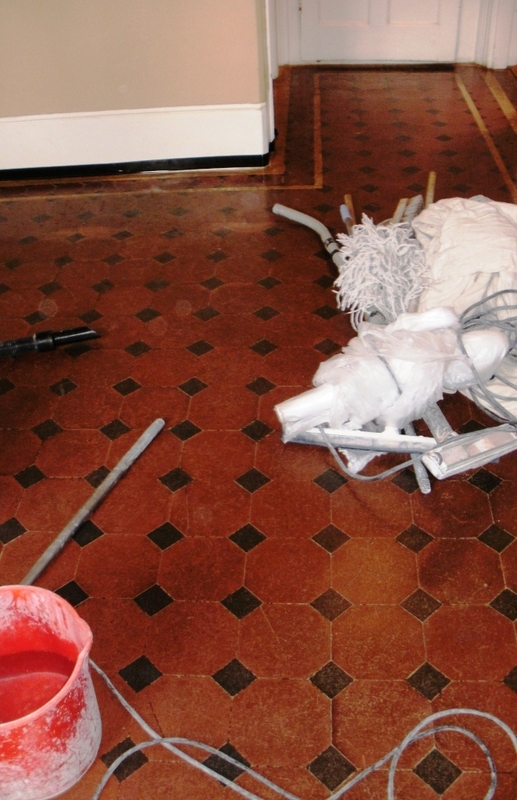 The floor was washed down with clean water and then cleaned again using Pro-Clean before finally washing down three more times using clean water in order to neutralise the floor and remove any trace of cleaning products before sealing. 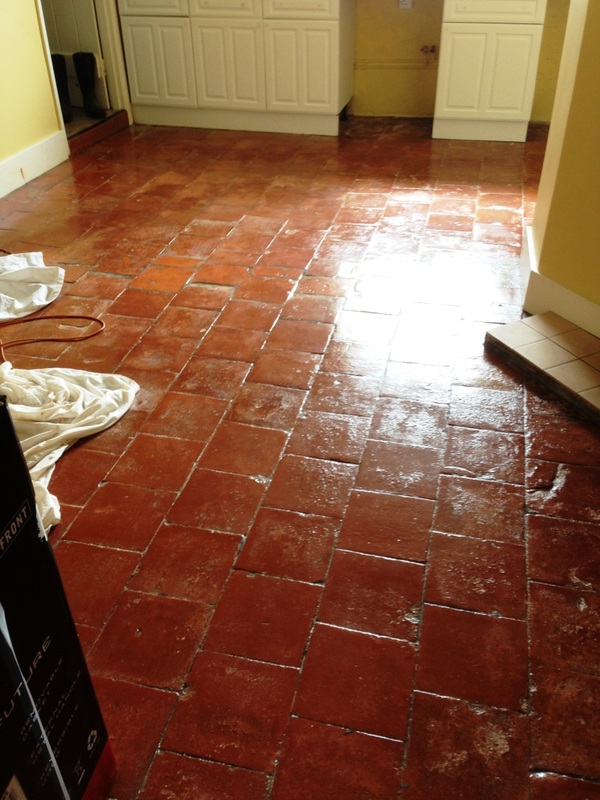 The floor was left to dry overnight and I came back the next day to apply the sealer. 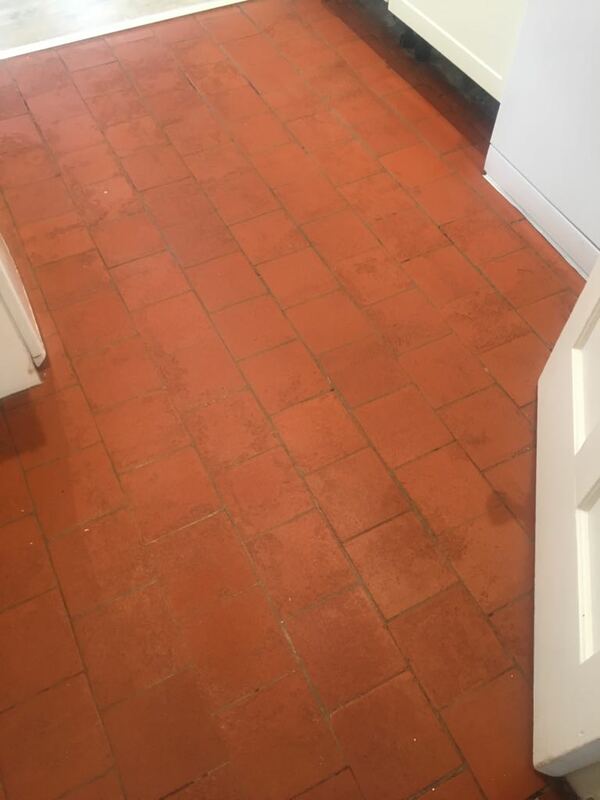 For sealing the Quarry tiles I used five coats of Tile Doctor Seal and Go, it’s recommended for Quarry tiles and adds a nice low sheen to the floor; sealing does take time as it’s necessary to allow each coat to dry before applying the next so it took most of the day to complete the job. 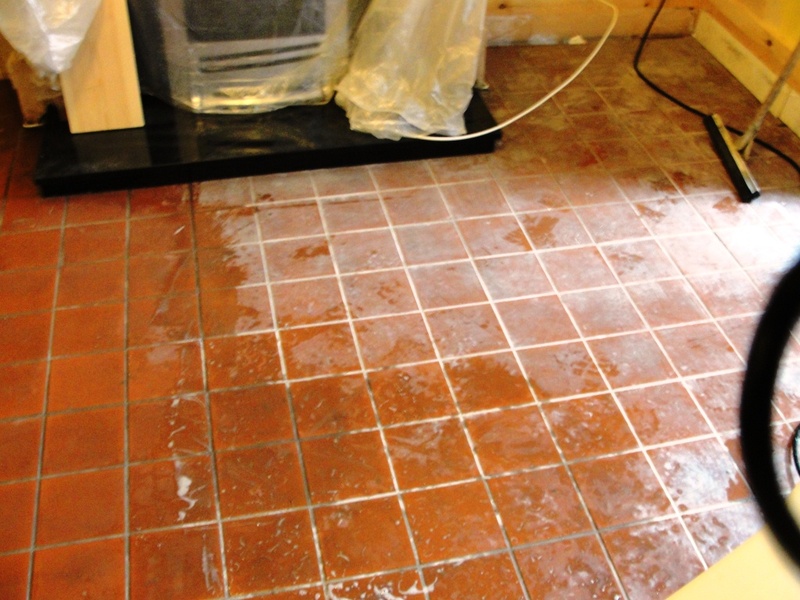 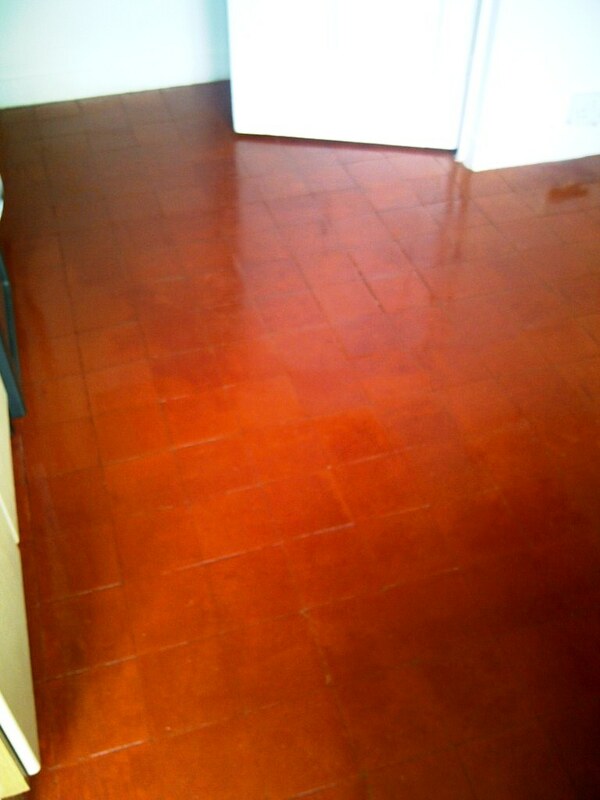 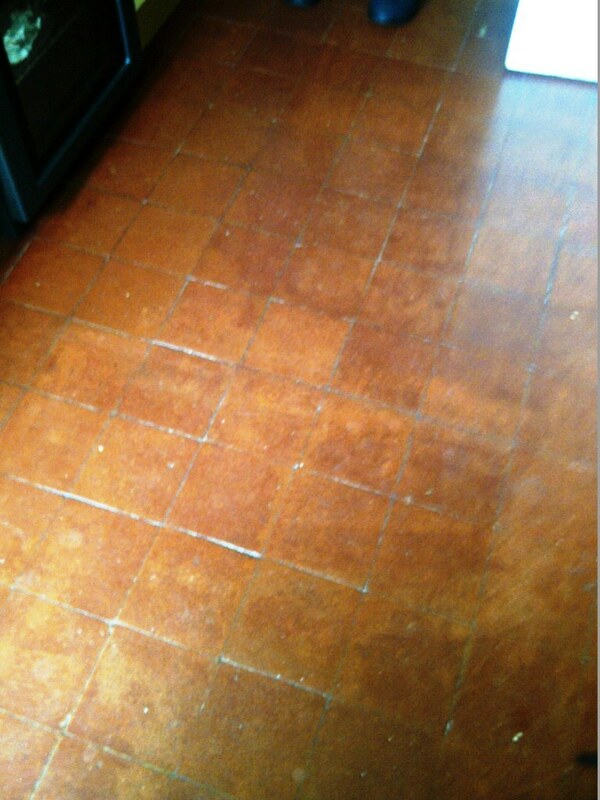 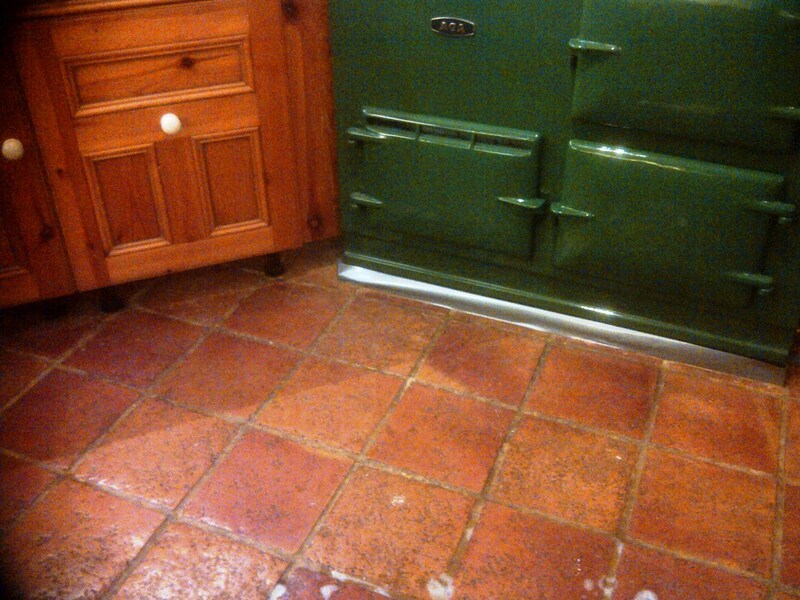 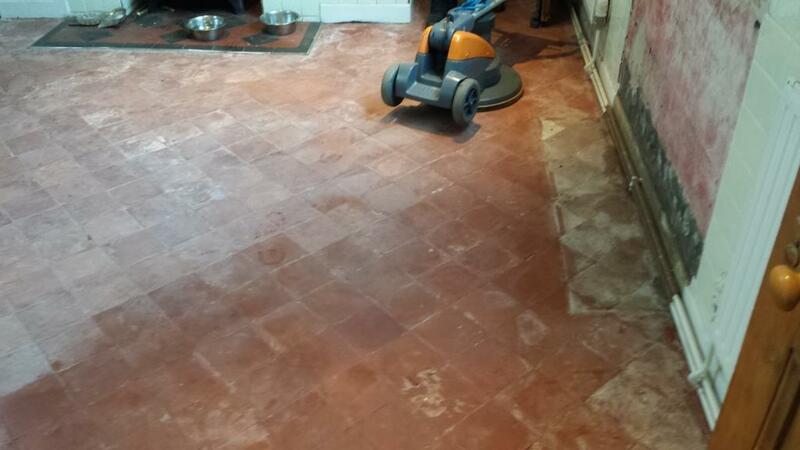 You can see the difference in the floor which has come up a lot lighter and is now much easier to maintain.